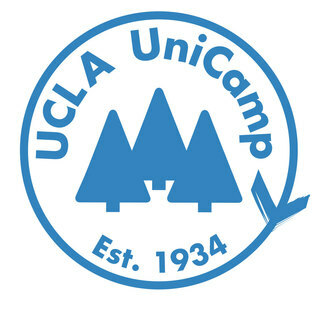 UniCamp has helped provide an affordable camp experience for much of Los Angeles’ youth over the years, myself, included. This year, I will be the Session Program Director for the Transitional Youth Empowerment week to help foster youth obtain the necessary tools to begin to bridge the gap of academic disparity seen within their community. We aim to help them become comfortable with discussing the topic of college with each other and their counselors. This goal would be achieved through programs such as an informational event, scavenger hunt, socializing with each other, spoken word, “Woodsey Olympics,” and conversations within their own cabin. Through these programs they can connect with college students/graduates such as myself as we work towards building a trusting and supportive bond. If you can, please help by donating! If donating isn't an option at the moment, please share! My relationship with Unicamp began the summer of 2006 when a few of my family members, classmates, and I were enrolled in our very first week of Camp, session Mentorship. We were all ecstatic and scared because none of us had been allowed to be away from home for more than a day or two, much less a whole week in the mountains. And so little Blue’s (my camper name) story with Unicamp began. Through the summers I experienced so many things I wouldn’t have had a chance to experience back home, such as mountain biking, the alpine tower (rock climbing), archery, campfires, backpacking, etc. As I grew up, the idea of going to college had been highly normalized, and having met and befriended so many UCLA students, I felt confident that one day, I too would go to a prestigious college. By the end of my camper experience I had completed 12 sessions, 6 through classic camp, and 6 through their older camper programs. I met campers from many different backgrounds, and learned so much about them and myself. It was through the campers that I met that the seed of passion for TYE’s initiative was first planted. Through the years, my interactions with them helped that seed grow. In the summer of 2014 I made the transition from high school to college, and by the summer of 2015, I, Nyx, had gone through the necessary training to be a volunteer through UniCamp. This past summer I was one of the Corps advisors for TYE and my experience reminded me how powerful a week of camp can be. There are social issues that different communities face and with simple and fun programs such as those listed above, we can help provide the campers with the necessary tools to begin to address them. So I ask you, if you are able, help me give back to a community that means so much to me. Please donate, and if you cannot, please share this page with your friends and family. Good luck up there! So proud of you!